Thank you for your question about the investment that Amazon made into the Online Pharmacy PillPack. Apparently, Amazon made an announcement this week that it is indeed buying PillPack. Amazon has been making hints toward being interested in getting into the business of selling drugs online but ran into problems with individual states that are no longer the issue they used to be. 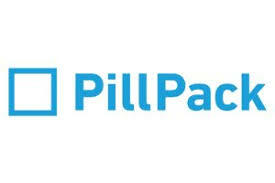 PillPack meanwhile has expressed excitement over the deal as well. The company started in 2013 and distributed pills in easy to use packages and has a national reach that made it attractive to Amazon to invest in. Amazon has also been pushing to increase its medical supplies business, hoping to become a main supplier for hospitals and clinics and have already received licenses from several states to start selling medical equipment to businesses. A previous attempt to get into the pharmaceutical industry in 1999 by purchasing a part of Drugstore.com got derailed, so we will see how this new investment by Amazon into PillPack goes. Join in and write your own page! It's easy to do. How? Simply click here to return to Investment Questions.